It’s been hot and sunny here in Colorado this summer. So, applying sunscreen is really important to protect our skin from UV rays. We all know that sunscreens are made to shield your skin from the sun’s harmful rays. That is why coolasuncare.com is here to give us the best organic suncare for our loved ones. I have been given these awesome products, the sunscreen spray citrus mimosa SPF 35 and the classic suncreen SPF 30 and I really love them. Aside from keeping us protected from being harmed by the sun, these products smell so good that it feels fresh and feels good on the skin, even when you’re in the sun. 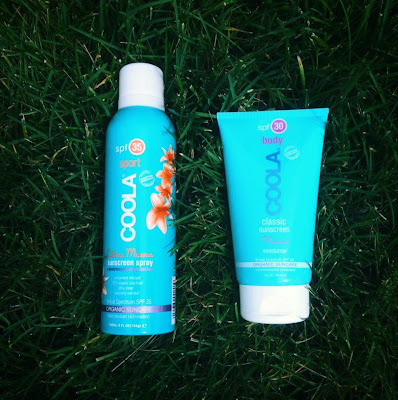 You will surely enjoy the summer more with Coola organic suncare collection. Keep your family safe, fresh and protected from the sun rays using these products from Coola, become their Facebook and Twitter fan to get updates about the latest organic skincare for your loved ones.